Unlike most other flowers, the perennial Lily never truly goes dormant. The strength and beauty of this international flower has cemented its place in the cultures of the world. With such an elegant look, it’s no wonder the flower means royalty, rebirth, and purity. Explore this potent flower symbol to enrich your own life. What Does the Lily Flower Mean? There are hundreds of different true lilies, but they all fall under the same Lilium genus. Any flowers called lilies that don’t fit in this organizational group, such as the common day lily or water lily, are not considered a true Lily. Lilium is a Latin term and was derived from the Greek term leirion, a word that traces back through numerous civilizations to one of the first words for flower. This shows the importance of the Lily flower through the centuries and millenia! Both the Greeks and Romans held the Lily in very high regard, including it in dozens of their religious myths and breeding the plants extensively. 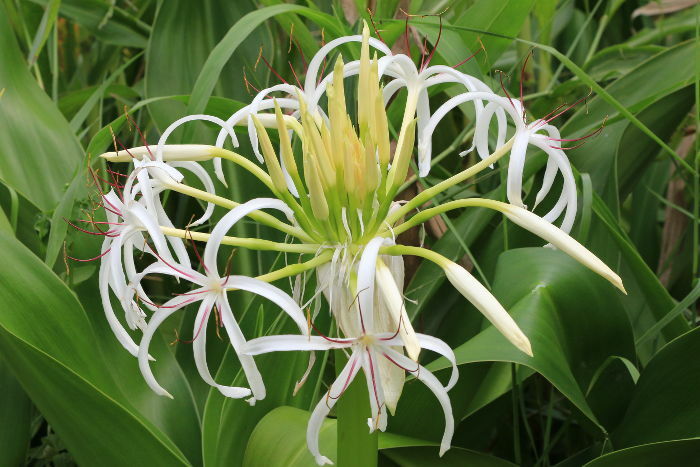 Alchemists considered it a lunar plant with feminine qualities, while the Lily is in high demand in China for weddings because its name sounds like the start of a phrase wishing the couple a happy union for a century. Chinese friends and family members also give the flower to people who have experienced a recent loss because it is believed to help relieve heartache. Don’t forget about that enduring sign of European royalty known as the fleur de lis. Now commonly found on silverware and wallpaper, that stylized floral design symbolizes a regal bearing and was loosely based on a member of the Lily family. Lilies are native all over the world and hold importance in dozens of different cultures. This led to early breeding programs, resulting in the thousands of different colors and petal patterns you can find today. All lilies emerge from a humble bulb, and they’re one of the few showy flowering plants that can handle indoor life just as well as outdoor growing. Most named varieties of this flower are hybrids and won’t grow true from seed, but old-fashioned and heirloom lilies produce true seed you can share with loved ones and friends to spread the beauty around. White lilies are an obvious symbol of purity, especially since many Christian denominations use the snowy Madonna Lily to represent the Virgin Mary. The striped pink flower known as the Stargazer Lily is one of the most popular flowers for bouquets today, and it means ambition and encouragement with a difficult challenge. Yellow and gold lilies most commonly symbolize good health and healing, while bright red blooms speaks of passion and work great for weddings and proposal bouquets. Many Asian varieties of Lily are used for food, usually by harvesting the bulbs and using them in place of potatoes or water chestnuts. 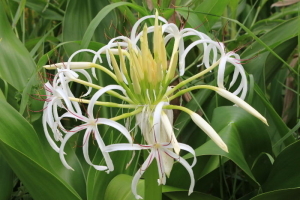 Other lilies are harvested for medicinal use instead. Chinese Traditional Medicine considers many different Lily varieties to produce a cooling, soothing effect on the body. Medieval medicine in Europe call for using the mashed roots of the Madonna Lily for shrinking tumors, healing skin ulcers, and soothing sore tendons. Since only some varieties of Lily are safe to eat or take as medicine, it’s best to purchase your products from a trusted source instead of heading out to the garden to dig your own flowers up. Take a regal stance and embrace your own power. Remember that renewal is just around the corner and that the end of one thing heralds the beginning of another. My wood flower business started with the lilies. It’s so nice to be able to talk to my brides and help them select the right color. Lily Bugs&Queen Bees would never have been created without this beautiful flora! When I was young I actually hated my name because it sounded so old fashioned. But during highschool days, we got a project to trace the origin of our names. From then on, I started loving it; from its origin, symbolism and etc. Now, I am glad that my parents decided to name me Flordeliza ( derived from fluer de lis). 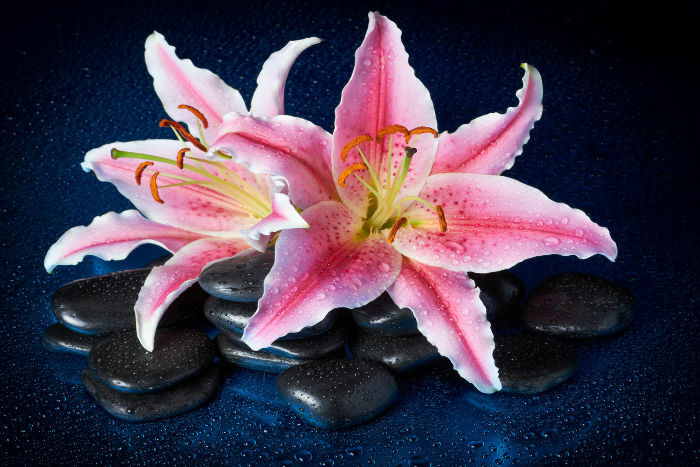 This a marvelous article for those who want to know more about lilies. This helped a lot for my school project thank you so much! I’ve been wanting a lily tattoo for a long time. My grandmother’s name was lily. Love that a lily can symbolize a new beginning as at this time in my life I am ending one chapter and beginning another. My yoga business motto is of a purple lilly. I love all the symbology associated with the lilly it fits us well. This was very interesting and such an encouragement to read about the lilies I had no idea. In my reading of this article words to consider the lilies I get discouraged.